11 Best Horror Board Games: The Ultimate List (2019) | Nerd Much? 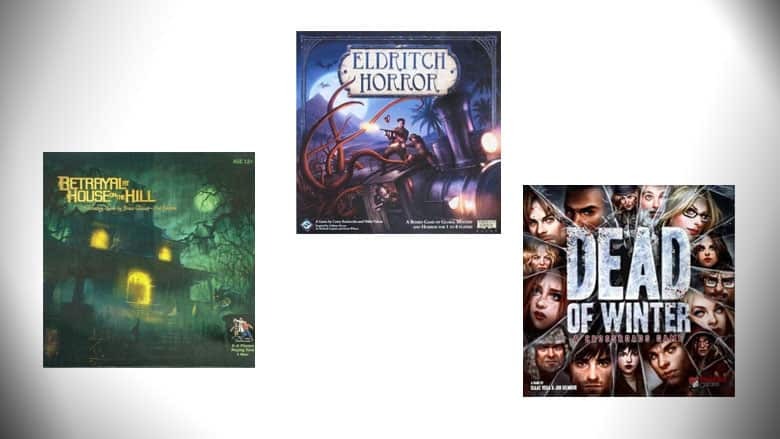 When you want something creepy that isn’t a video game or a movie, horror board games fit the bill—and there’s quite the variety to choose from. If you’re a fan of Lovecraft and all things Cthulhu, you can cast Ancient Ones back to their realms before you’re driven to death or insanity in Arkham Horror: The Card Game. 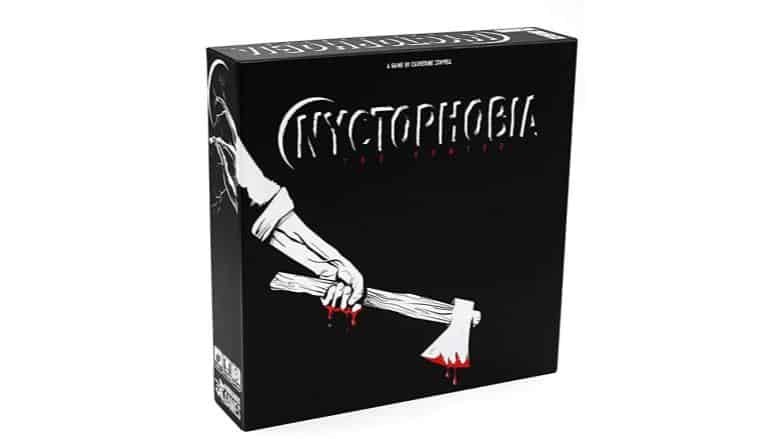 In Nyctophobia, you and your friends can attempt to avoid an axe-wielding killer in the dark woods, all without being able to see the board. For something particularly morbid, The Bloody Inn is a game of hospitality and killing guests and burying them in the annexes of your inn. Board games offer a different sort of horror—one that’s fueled by cardboard and can be played by candlelight. No matter what sort of creepy you’re looking for, there’s something for everyone. After a ghost is detected in an ancient home in 1920s Scotland, several highly skilled mediums are gathered to investigate. Together, they will interpret the visions of the ghost to determine the cause, culprit, and location of the ghost’s murder. Though the whodunnit theme may evoke memories of Clue, this is quite a different game. Played cooperatively, the ghost cannot speak but can guide the mediums by handing them gorgeously illustrated cards with subtle hints that point to a specific suspect, location, and weapon. The mediums have just two minutes to unravel their clues, make predictions about other players’ clues, and help each other solve the mystery. 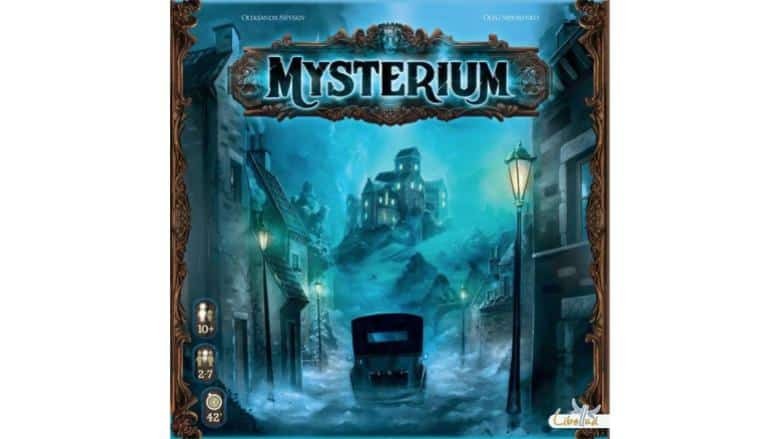 With gorgeous artwork and stellar components, Mysterium has an evocative theme that will get anyone in the Halloween spirit. 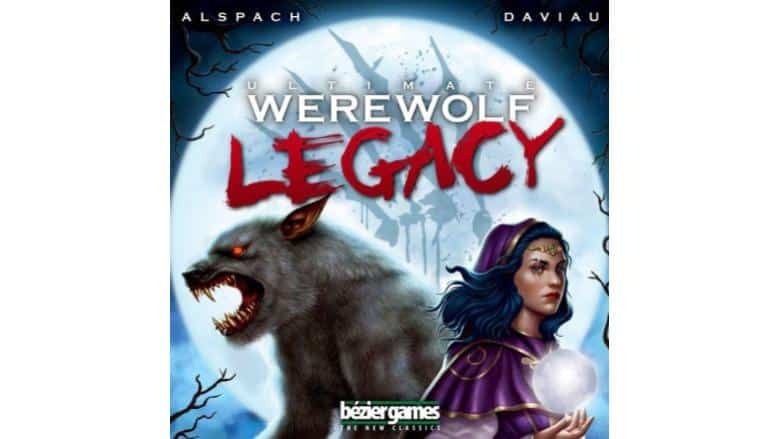 One of the most recent games to get the legacy treatment from Rob Daviau (who also co-designed Pandemic Legacy) is Ultimate Werewolf. A legacy game is designed to be played over several sessions with the same group of players as they discover new components and rules along the way. The classic deduction game now brings players through a campaign full of plot twists and murders. The 16-game campaign makes use of an 80-page diary, in which the moderator will track the history of a werewolf-plagued village. There are two teams: the villagers and the werewolves. The villagers want to identify the werewolves, while the werewolves want to kill all of the villagers. There are many more roles that will be discovered as the campaign progresses, and each player is also assigned a family, allowing them to cooperate with—or back-stab—their fellow family members. The journal lets players look back on all of the twists of the campaign once it’s all over, which is an excellent (and thematic) touch. This is one of the most ambitious social deduction games to date, and if you can get a big group of friends to commit, it’s sure to be a harrowing experience. Nyctophobia relies on a more visceral horror experience than most games. That’s because it makes players wear blackout glasses as they navigate a forest and avoid being hunted down by an axe murderer or a deadly mage. You read that correctly. All of the players are unable to see the board but one. The blinded players must work together to escape the Hunter, feeling the board to identify their surroundings. Meanwhile, the Hunter is ruthlessly pursuing them and wins the game by successfully murdering one of the blinded players. It makes for a seriously creepy experience—many people find the blinder glasses unsettling, but that can be a good thing when you want a game that can make you jump out of your seat. You might want to keep drinks off the table for this one, though. 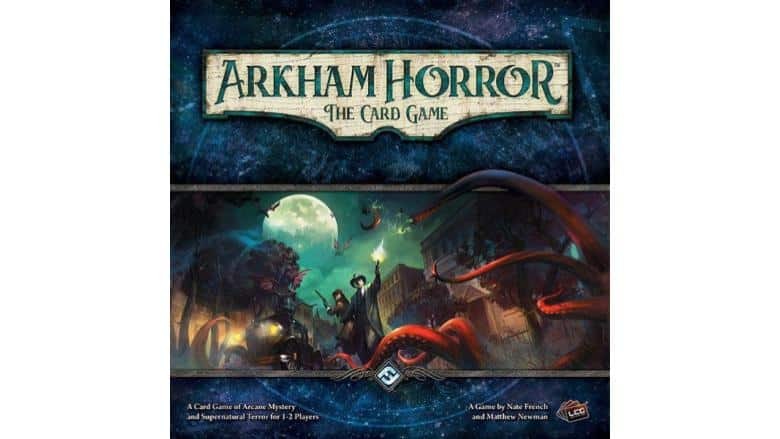 Fans of Lovecraftian horror will find plenty to explore in this two-player Living Card Game (or LCG) set in the New England town of Arkham and its mysteries and monsters. It’s called Arkham Horror. A living card game is similar to a collectible card game, but its cards are released in complete sets—you know what you’re getting out of the box, so there’s no gambling. From these sets you can construct a deck to face the terrors of Arkham. This campaign-style game puts each player in the role of an investigator with a deck that can be altered and upgraded from game to game to better fit your play style. The continuity between scenarios is satisfying, though each scenario feels complete on its own. The core set offers play from one to two players, but a second core set opens the game up to three or four players. It’s 1831 in a small village in France, and you’ve gone to hotel management school and started your own inn. Times are tough, so you’d better rob from your guests, murder them, and hide their bodies beneath your inn so the police don’t find out. Hey, you’ve got to make ends meet. 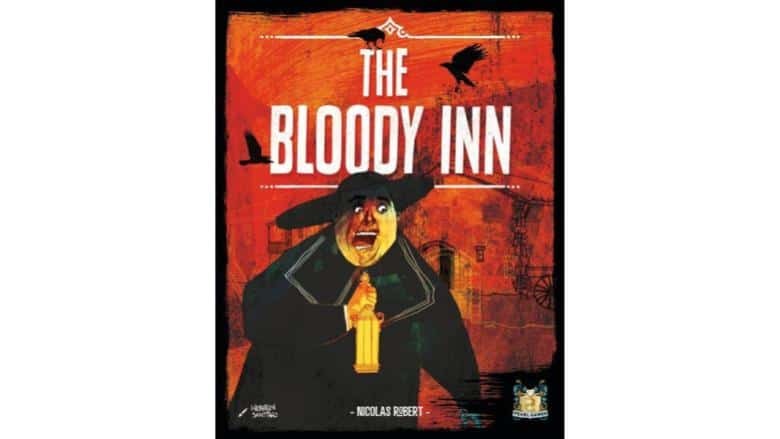 This horror board game is called The Bloody Inn, and it’s fantastic. Leave your morals and squeamishness at the door in this competitive and murderous game of making a profit and keeping your hands clean—or making them appear clean, anyway. Lure unsuspecting guests to your inn so you can rob them of their valuables, then conceal the crime by killing them and stashing their bodies under an annex. You have to make sure you don’t have any bodies lying around when the police come to investigate… running a business is tough work. 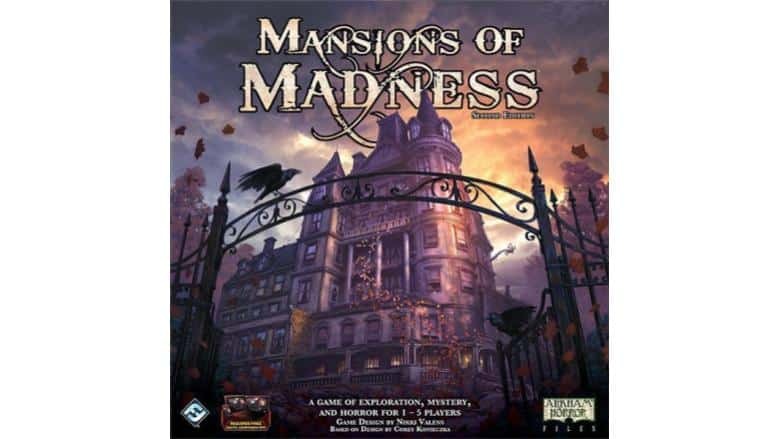 In the same universe as Eldritch Horror, Mansions of Madness is a miniature-filled, app-driven cooperative game of solving mysteries while combating horrific creatures by the name of Mansions of Madness. The thought of a required companion app may lose the interest of some players, but it does allow for seamless and immersive play. The music is quiet and atmospheric, and the app does a few things that a fully analog game couldn’t do, like dialogue trees. If a gorgeous and versatile Lovecraft RPG sounds like your thing, this could be the game for you. Put your trust in your friends to the test in this story-driven zombie apocalypse survival game filled with delicate decisions and endless hordes of zombies. The players take the role of members of a colony that gathers resources like food and materials to fortify their home and keep each other alive. However, everyone has a personal goal that they must achieve in order to win the game. This means that everyone may win together, or some players will win while others lose—or everyone loses together. The personal goals vary in difficulty and severity. They could mean doing something fairly benign, or they could mean dropping the colony morale to zero. 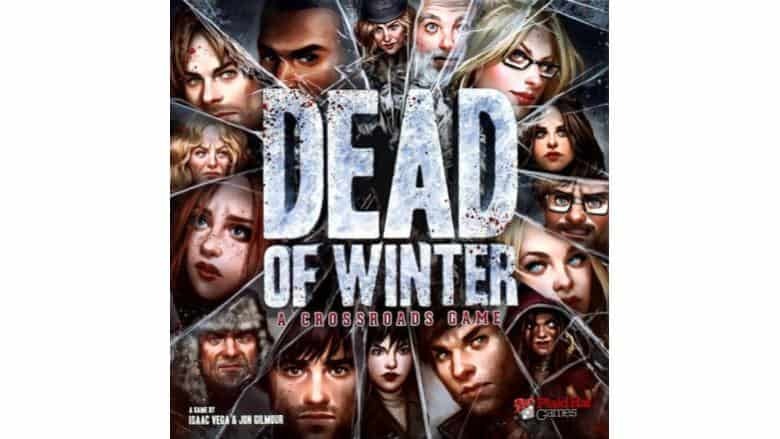 If you want a zombie game that’s about more than just mowing down hoards of brainless enemies, Dead of Winter is the one. 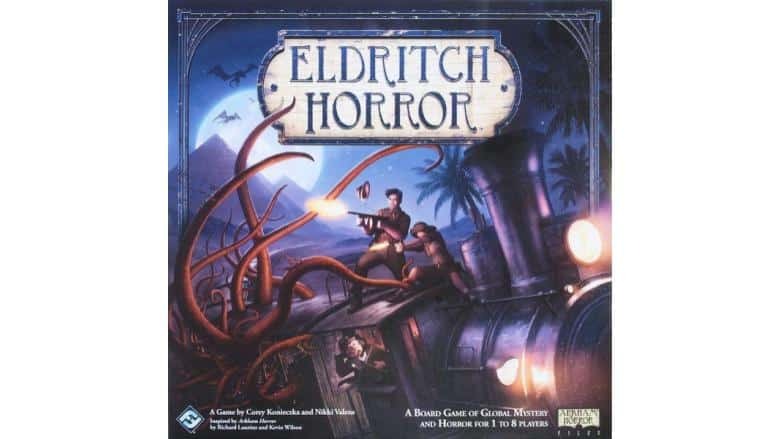 If you want more of a globe-trotting Lovecraft experience, Eldritch Horror sends you and up to seven other investigators to distant places as you combat a growing force of evil. For a different scale and more streamlined gameplay and setup than Arkham Horror, Eldritch Horror is a must-play for Lovecraft fans. 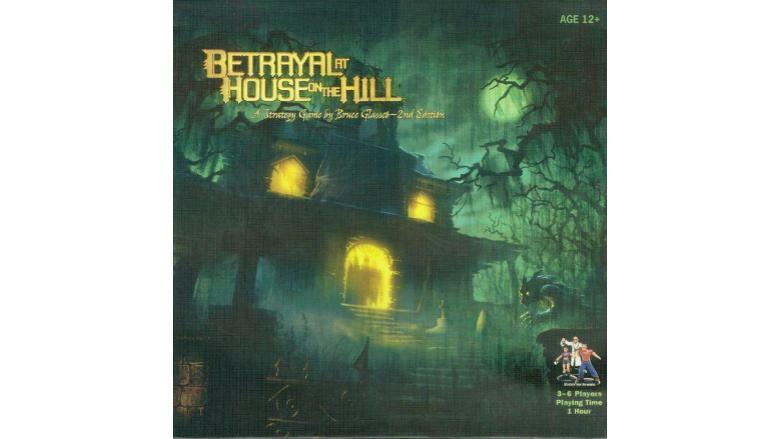 It doesn’t get much more classic Halloween than Betrayal at House on the Hill. Players enter a strange and haunted house, discovering it one room at a time and exploring its different floors. The house is filled with weapons, tools, and mysteries, and before too long, one of the players is revealed as a traitor. The traitor takes on many roles, but most of the time, they simply want to kill the other players. A booklet of 50 “haunts” give players instructions for a variety of scenarios, each telling a different story and introducing different rules. This leads to plenty of replayability—even revisiting a haunt can feel fresh as everyone plays the traitor differently. 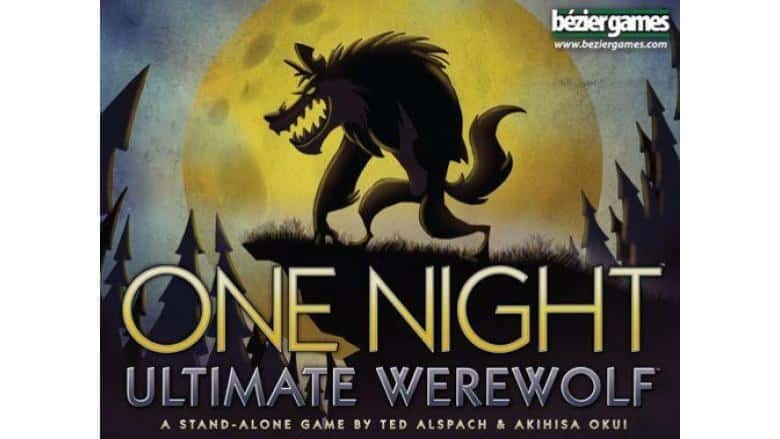 If you’re familiar with Mafia or Werewolf, One Night Ultimate Werewolf is a similar experience packed into 10 minutes of scheming and finger-pointing. Powered by instructions from a simple app, One Night Ultimate Werewolf puts each player in the role of a werewolf, villager, or any number of other roles with their own abilities and goals. During the “night” phase of the game, roles are swapped, cards are peeked at, and general shenanigans occur. Then everyone opens their eyes, and the blame game begins. All the townspeople have to do to win is vote correctly to identify a werewolf, but that’s easier said than done. This quick and simple game is an excellent Halloween-themed game for a crowd. This December, the classic hidden movement game of hunting down the deadly Count Dracula returns in a new printing by WizKids. This printing features fully painted miniatures, larger cards, and an updated rulebook. In this one vs. many game, one player takes the role of Count Dracula as they secretly travel around Europe, converting as many humans as he can into vampires. Pursuing him are a team of vampire hunters armed with tools and weapons to take the vampire down. Dracula moves secretly during the nighttime, while the Hunters move during day and night. 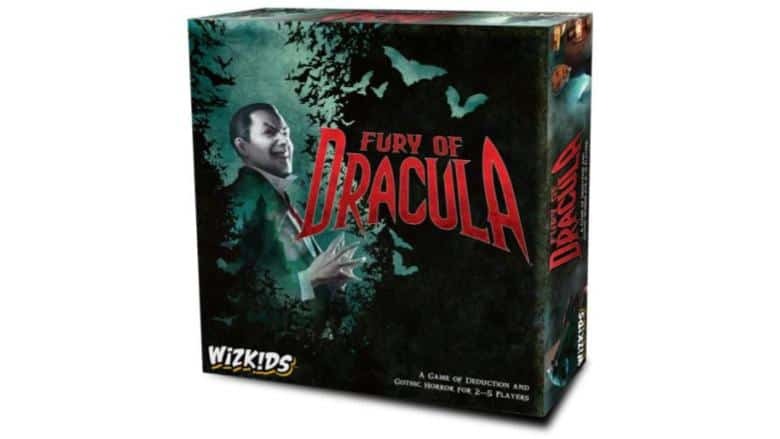 This tense game of heated pursuit is perfect for fans of vampires, and the new WizKids edition is sure to be gorgeous. Whether you’re a fan of the original or you’re looking to pick the game up for the first time, this is sure to be the definitive edition.